If you are from North India, you must have heard about one of the most common ingredients used, especially during summers- sattu. Also known as toasted gram flour, sattu is an immensely healthy ingredient that can help you beat the heat and energise your body. Not only that sattu is a fuss-free ingredient that can easily be consumed by different methods, some as easy as making a cooler by mixing sattu into a glass of water in the form of sattu sherbet. Since sattu is made out of toasted grams, no form of oil goes into making it, and it is also low in calorie count, providing you with good energy and soluble fibres. 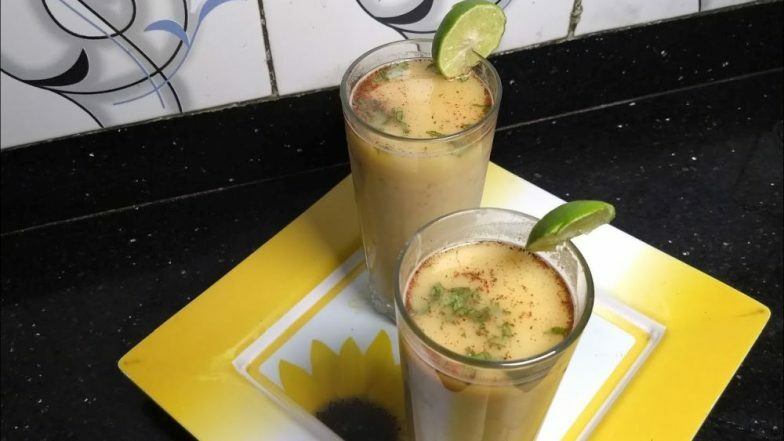 Sattu sherbet is also sometimes fondly called Bihar ka tonic (healthy drink of Bihar.) Sattu is also known to beat the ill-effects of the fatal loo (the severely fatal strong, dusty, hot and dry wind that blows in northern India during summers.) Summer Weight Loss Diet Tips: What Should You Eat To Lose Weight In the Hot Months? Sattu is known to be a perfect blend of balanced nutrients roasted, making it one of the ingredients prepared by the healthiest methods. Roasting retains nutrient value. Sattu is rich in fibre content which means it is a perfect ingredient for healthy intestines. While providing easy digestion, the insoluble fibre helps keep your colon clean detoxifies it of greasy food, and keeps constipation and acidity at bay. A low glycaemic index makes sattu great for diabetics as well; also it fits perfectly in your weight loss diet as well. Its cooling effects are amazing. For places that face severe heat, sattu is a perfect ingredient to include in your diet. Rich nutrients such as iron, manganese, and magnesium.protein, fibre, calcium, etc. Beauty benefits of sattu are also known very well, because of its coarse nature you can use it as a scrub; also it is known to help get rid of dandruff if used as hair pack. Sattu sherbets helps your skin glow and feel hydrated. Moreover, sattu is really easy to store and easy to consume which makes it a super healthy ingredient on the go. Sattu also has a long shelf life if stored well.